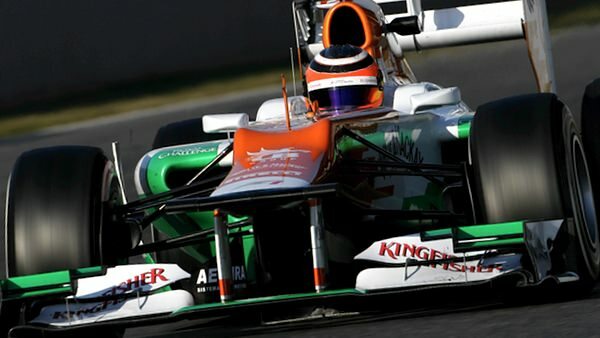 Meanwhile, Vitaly Petrov had his first day in the Caterham, completing 69 laps overall and finishing second from last. Only Marussia were behind, and they finished over 100 laps. Long runs were the order of the day, with Force India, Red Bull and McLaren also topping the century. At day's end, Lewis Hamilton was happy with how the programme had worked out for him and prepared to hand the car over to Jenson Button tomorrow. To have completed more than 1000km in the past two days is incredibly encouraging – the whole team should feel proud. We didn’t bring any upgrades here, but our understanding of the car has developed since the test in Jerez. We’re learning more about how the tyres work, how the temperatures behave and how to balance the car using set-up. It’s been an extremely productive few days – and I think Jenson will continue to improve the car tomorrow. Finally, in the ongoing Lotus chassis problem, rumour has it they have requested the chance to use up their three days missed in Barcelona this week in a private test instead. There's still no news on what the issue actually is yet, though.